Quartz (SiO2) can be divided into two major categories: Macrocrystalline varieties and Microcrystalline varieties. Quartz in its Microcrystalline state forms Chalcedony. The name chalcedony is derived from an ancient town on the Bosphorus. Chalcedony sub-group of quartz includes the translucent to opaque varieties that are made into cabochons, or carvings. All chalcedony group members consist of a thin layers of tiny quartz fibres. Because of its fibrous structure, chalcedony is extremely tough and has been recognised for centuries as an excellent carving material. Properties, such as hardness and fracture are close to that of crystalline quartz. While crystalline quartz have a vitreous luster, chalcedony is more resinous and waxy and the density relative to quartz may vary slightly due to impurities. These varieties include agate, carnelian, onyx, sardonyx, chrysoprase, jasper, bloodstone, chert, and flint. Agate: The name agate is derived from the Sicilian River Achates where agates were probably found in antiquity. Agates occure as nodular masses that, when split open reveal a fascinating variety of colors and patterns. 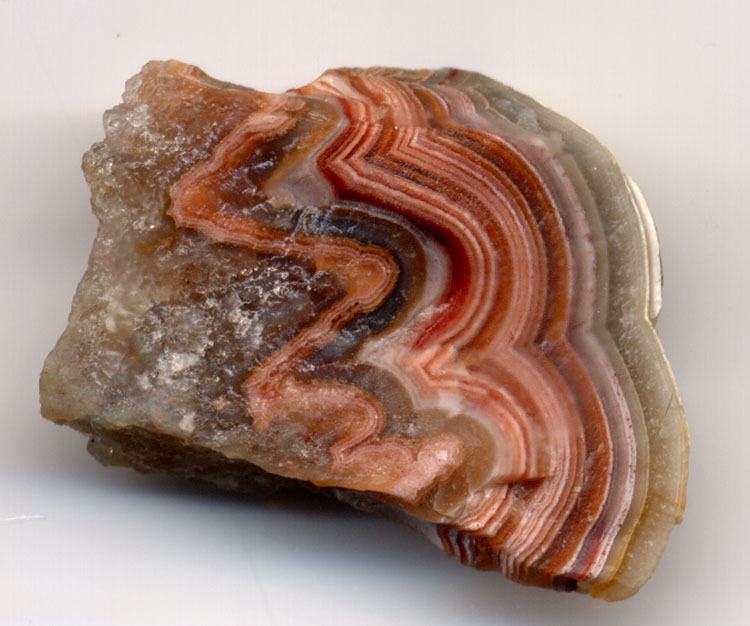 Agates display layers which are concentric or flat bands. It may also contain dendritic (plant like) inclusions and sometimes resembles landscapes (these dendrites are iron or manganese inclusions of dark brown or black color). Moss agate is a colorless, translucent chalcedony which contains mineral inclusions with a moss-like appearance. Fire agate shows an attractive play of color resulting from platy crystals of iron oxide layered with chalcedony. Turritella agate is made up of shells of the gastropod Turritella. 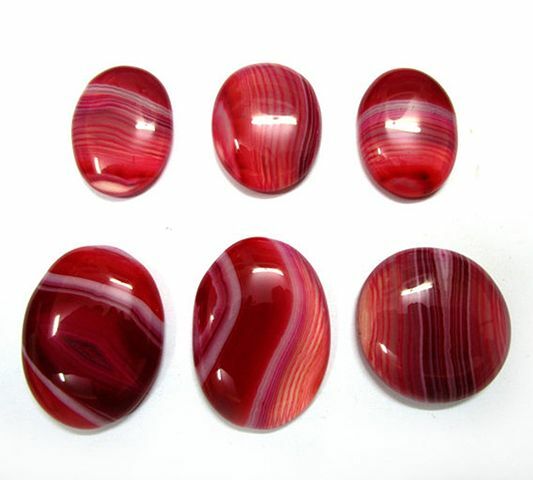 All these agate varieties are distributed widely throughout the world. Onyx: In its natural state, onyx has straight bands of white and earthy brown color. Black onyx does not exist naturally. It is made by soaking agate in a sugar solution and then heating in sulphuric acid to carbonize the sugar particles which turn the color into black (this is a permanent color change). Dyed black onyx has been used in jewellery for many years and was very popular with designers of the Art Deco period; they created geometric designs using slabs of black onyx set with marcasites. The name onyx comes from a Greek word for nail or claw. Cornelian: The name of cornelian gemstone is derived from the Kornel type of cherry because of its color (in other source we found: Cornelian is taken from Latin word for flesh with reference to its color). Cornelian gemstone has been a popular gemstone for many years, its warm tones attracts jewellery buyers. Its color varies from a pure, intense red-orange to brown-red and red. The best quality cornelian gemstone comes from India, where the brown tints are enhanced to red by exposure to the sun. The color of the cornelian can be enhanced by heating and dyeing. Actually, most of the times the stones are agates that have been dyed (with ferrous nitrate solution) or heated. Cornelian gemstone has a very long history and can be found in antique jewellery. 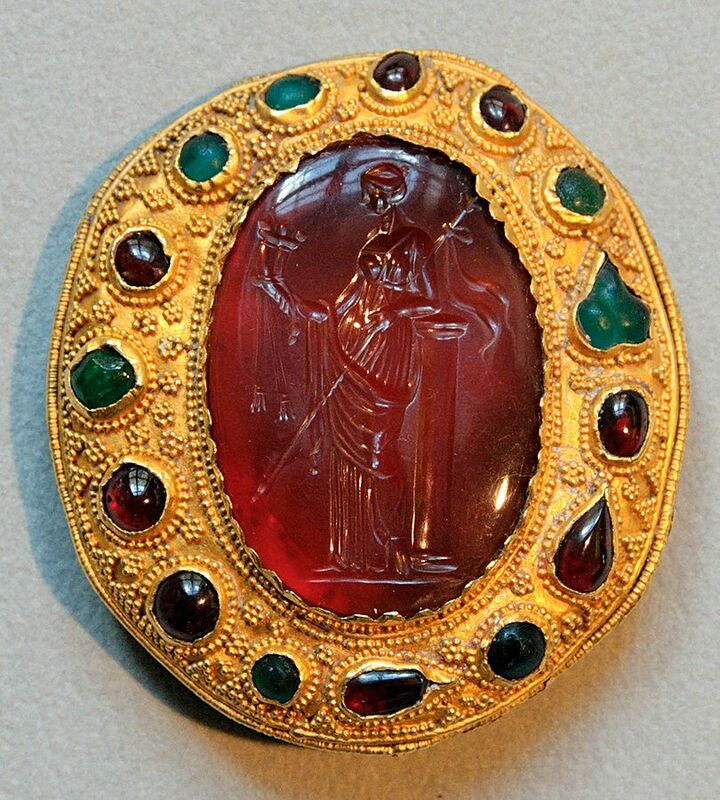 Many Muslims revere the gemstone as it is said that the Prophet Muhammad wore it in ring. Except for the best red-orange material, cornelian is a relatively inexpensive gemstone. Sard: Sard is the reddish brown to orange variety of chalcedony. It is named after a town in Asia Minor. Sard is often carved for cameos and is excellent for inlay work. Jasper: Jasper is a granular, opaque variety of chalcedony. However, some scientists put it in a group by itself within the quartz group. It is fine-grained and often strongly marked with orbicular or striped patterns. Its color varies from red to yellow and brown. The name is derived from the Greek and means “spotted stone”. Today jasper is popular for ornamental objects, cabochons and for stone mosaics. Chrysoprase: chrysoprase gemstone is the most prized variety of chalcedony. The best chrysoprase should have an intense apple-green color and be translucent with no clouds. The intensity of its green color (the green color can vary between pale green, emerald green, or even dark green) depends on the concentration of inclusions of a nickel oxide mineral called bunsenite. Color can fade in sunlight and when heated. Colors may recover under moist storage. Australia produces some top quality material from the Marlborough deposits north of Rockhampton in Queensland. Other deposits are in Brazil, India, Malagasy Republic, South Africa, Russia (Urals), and the USA (Arizona, California, Oregon). 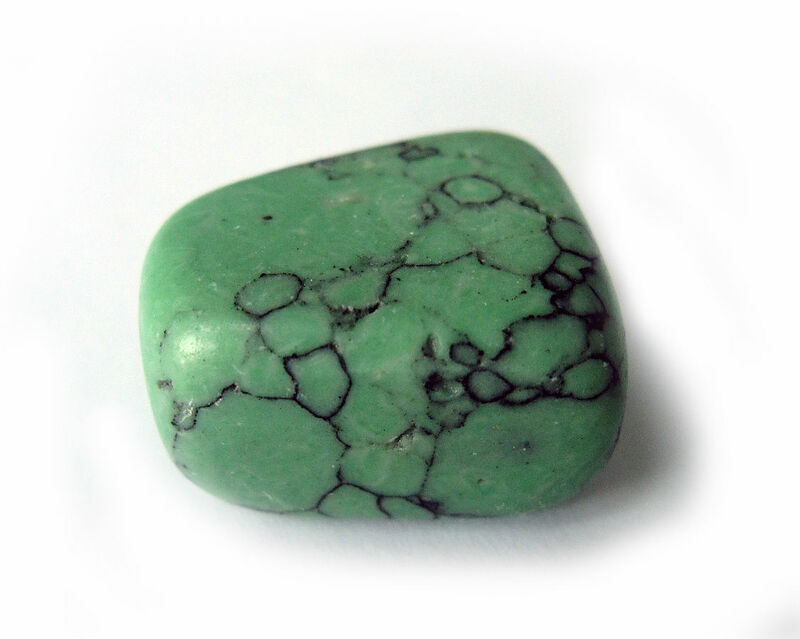 Chrysoprase is an ideal gemstone for jewellery makers. It has been used for centuries as a decorative stone because it is attractive, durable and readily available. The popularity of the intensity colored chrysoprase has made it more expensive, but the lower-grade colors are moderately priced.